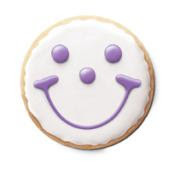 I have previously written (here and here) about the efforts by Franklin Loufrani to claim exclusive ownership rights over the famed “smiley face” (although admittedly those posts were primarily focused more on the efforts of Eat ‘N Park Hospitality Group, Inc. to claim exclusive rights to a “smiley face” on a cookie). Loufrani has been embroiled in several trademark oppositions with Wal-Mart at the Trademark Trial and Appeal Board (“TTAB”) over the “smiley face”. 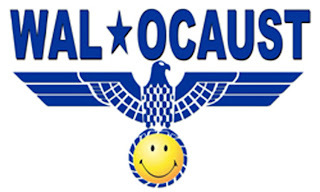 Wal-Mart had opposed two of Loufrani’s applications (here and here) to register his Smiley design mark (pictured above). See Wal-Mart Stores, Inc. v. Franklin Loufrani, Opposition Nos. 91150278 and 91154632. 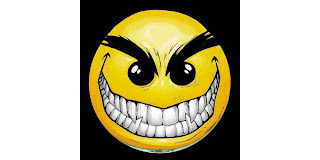 Wal-mart also sought to register its own Smiley logo (pictured below), which Loufrani later opposed. See Loufrani v. Wal-Mart Stores, Inc., Opposition No. 91152145 (Filed July 23, 2002). As reported by The TTABlog®, the TTAB handed down a decision on March 20, 2009, which sustained Wal-Mart's opposition to Loufrani’s application and dismissed Loufrani's opposition to Wal-Mart's application (an outcome that certainly did not make Loufrani smile). See Wal-Mart Stores, Inc. v. Franklin Loufrani, Oppositions Nos. 91150278, 91154632, and 91152145 (March 20, 2009) (not precedential). 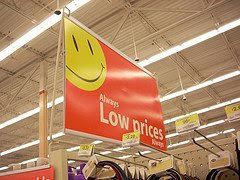 The Board stated that the “smiling face” design is a “ubiquitous, non-inherently distinctive design” and a “common feature of modern American culture.” Nonetheless, the Board found that Wal-Mart had proven that its Smiley had acquired distinctiveness prior to Loufrani's priority date of June 3, 1997 – based on its “truly impressive” amount of money on advertising (including television) before Loufrani’s filing date. 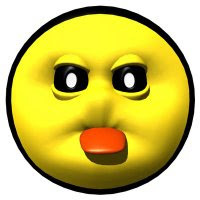 Moreover, the Board found that consumers viewing Loufrani’s “smiley” would view the mark as ornamental because the word “Smiley” is the commonly used name for the “ubiquitous, non-inherently distinctive” smiley face symbol, and thus concluded that his mark was not inherently distinctive. (Loufrani’s applications were filed based on intent-to-use, so he could not argue acquired distinctiveness as Wal-Mart did). The Board also found a likelihood of confusion between Wal-Mart’s smiley face and Loufrani’s proposed mark for 17 out of the 23 classes of goods recited Loufrani’s application (not that it mattered since the Board’s finding of non-distinctiveness applied to the entire application). It will be interesting to see if Loufrani continues his fight given the Board’s opinion about non-distinctiveness. In addition, given that it took a “truly impressive” amount of money for Wal-Mart to stake a claim on a “ubiquitous, non-inherently distinctive design” that has become a “common feature of modern American culture,” one wonders if Eat ‘N Park can continue to claim exclusive rights to its “smiley” cookies when most (if not all) of Eat ‘N Park’s defendants are merely decorating a cookie with that captures this famed ornamental symbol. Does anybody out there really think that Eat ‘N Park has the same “impressive” advertising dollars to back up its claim of acquired distinctiveness? As the TTAB stated “Considering that we have already determined that the smiling face is a common feature of modern American culture, [acquired distinctiveness] will not be something easily achieved." It is surprisngly difficult to find a good JPEG of Wal-Mart's actual mark that is the subject of its trademark registration application. The above picture was from the PTO's database. But I thought I might share some of the more creative versions of the logo that I found on various websites while looking -- many of which (as you might guess) do not have a favorable opinion of Wal-Mart. I surely enjoyed your article! We were making 'smiley faces' back in the late 1960's. My own son opened 2 car dealerships in Ohio; he created his own 'smiley face', and it's held up since 1989. Goodness, as his mother, I taught him 'my design', but he had his own.